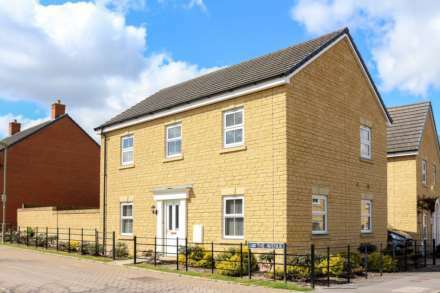 Built by Linden Homes in 2003, this superb three-storey town house is available unfurnished. Close to Wallingford`s town center and all local amenities. The accommodation is presented very well set over three floors with entrance hall, cloakroom, study/dining room, fully fitted kitchen and open plan breakfast area, utility room, conservatory, lounge, three double bedrooms, en-suite to master bedroom and a family bathroom. The property also has the added benefit of a South facing rear garden with a decking area and mature landscaped trees and shrubs. The property has two allocated parking spaces to the front of the house. Available mid November.